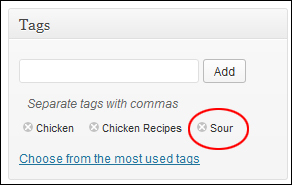 WordPress Tags should not be confused with WordPress Categories. 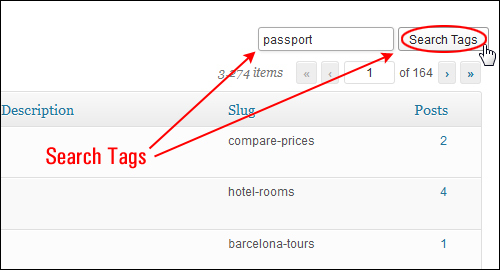 A Tag is similar to a Category, but smaller in scope. 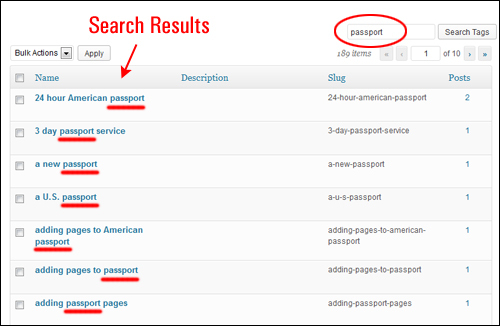 Categories are broad, and Tags are granular. 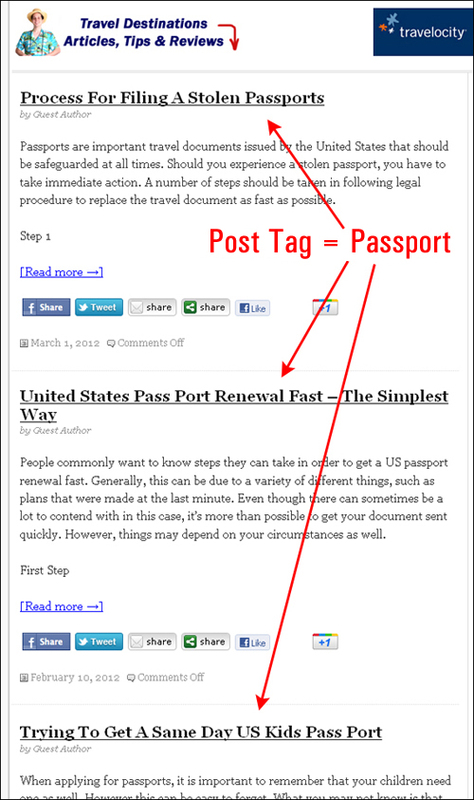 Also, while a post may be filed under a single category, it can be referenced using several tags. 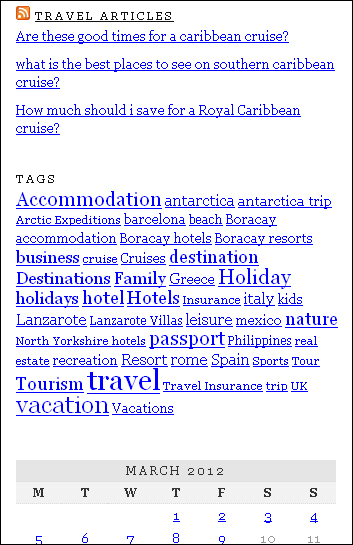 Inside the National Geographic manila folder, you would not only store subscription bills for the magazine but also invoices, brochures and other special offers and announcements that National Geographic occasionally sends out to subscribers. 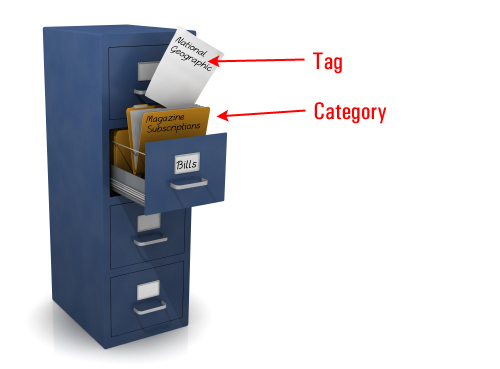 In this case, the archive folder called “Magazine Subscriptions” would be a category, and the manila folder labeled “National Geographic” would be a tag. 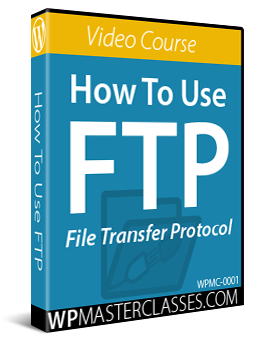 All of the individual items inside the manila folder (i.e. 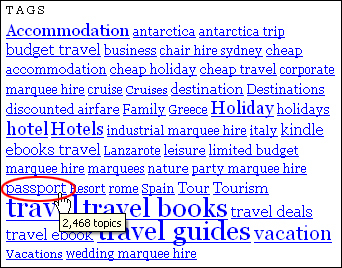 the content) would share the same tag, which identifies them all as belonging to a collection of content that refer to National Geographic magazines. 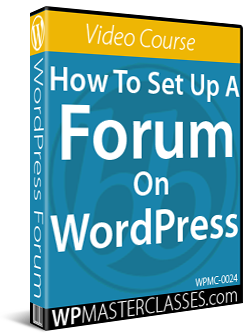 In this tutorial, you are going to learn how to set up and configure tags in WordPress. 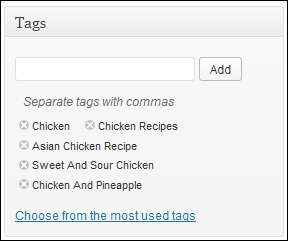 The tutorial below explains when to use tags and how to add, edit and delete tags in WordPress. 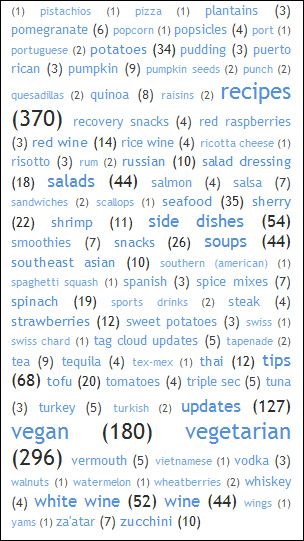 An easy way to remember the difference between Categories and Tags is that the Categories of your posts won’t change often, but your Tags will probably change with every new Post you make. 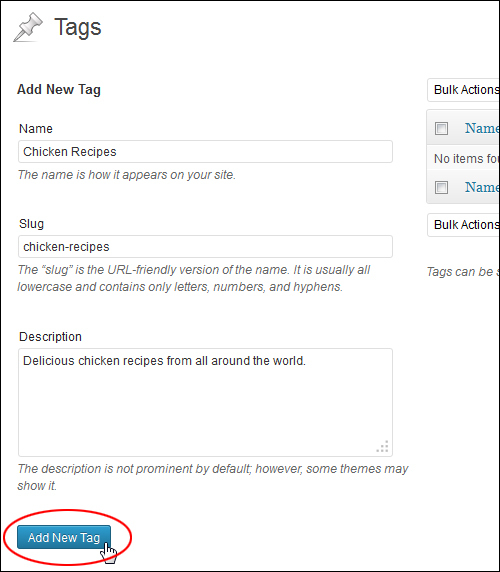 Although tags can be added “on the fly” when you write a new post, it’s always a good idea to do a little planning beforehand and think about the main tags you are going to be adding to your content. 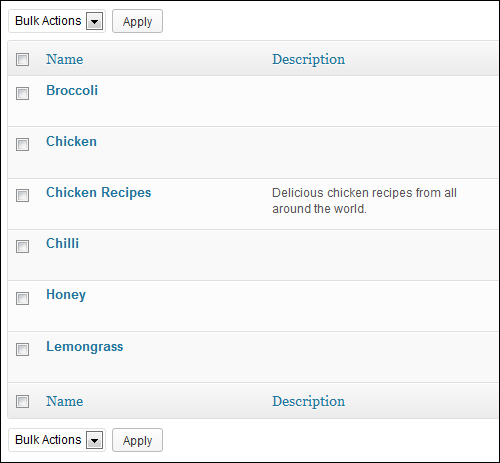 Having said that, however, it’s easier to plan your categories, than to plan your tags. 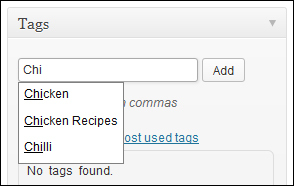 While we recommend planning your categories before you start publishing your content and then adding a new category whenever one is required, it’s more practical to add tags when you publish new content, and then administer them later. 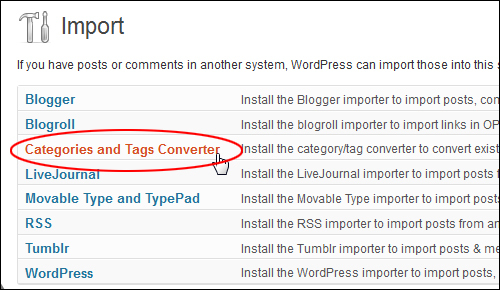 Nonetheless, let’s go through the process of setting up WordPress tags now, so you understand how to use the Tags section. 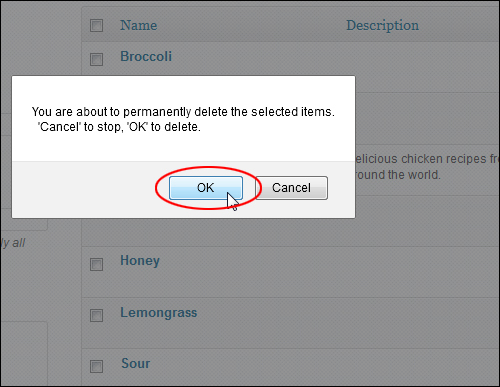 Let’s go through each of these options now. 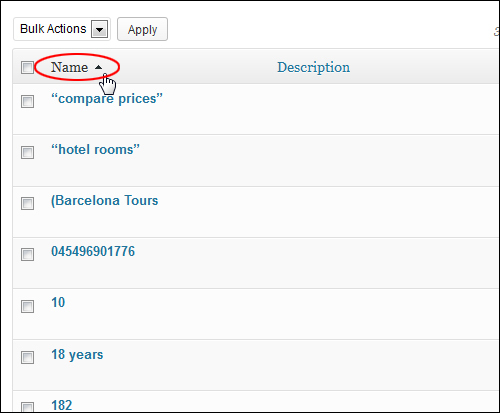 Name – Enter a short tag name here, preferably 1-3 words. 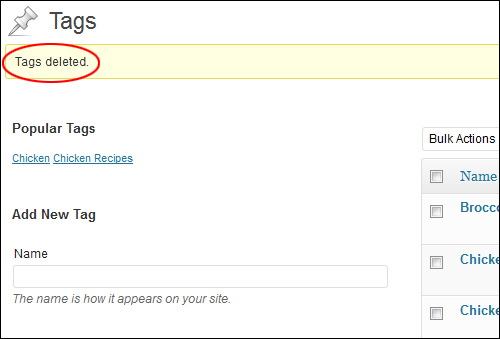 Slug – The “slug” refers to the words that display in the URL of all posts published under a tag. 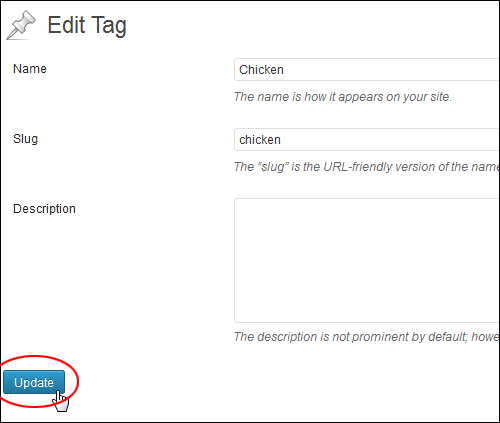 Your slug can be different than your tag name. 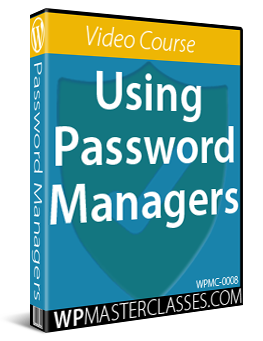 Note: Keep all words lower case and make sure they only contain letters, number and hyphens (i.e. 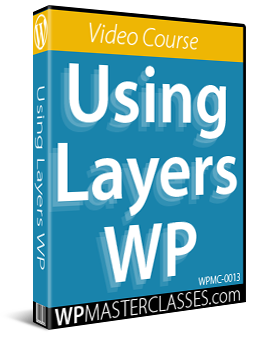 no spaces between words). 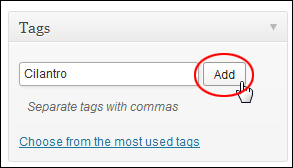 If you don’t enter a slug into this field, WordPress will create one for you using a lower case version of your Tag Name. 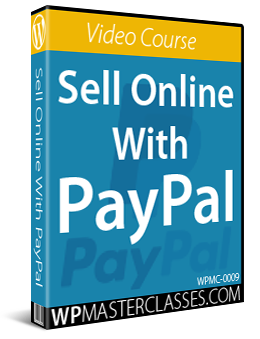 Description – Write a brief description of your tag here (optional). 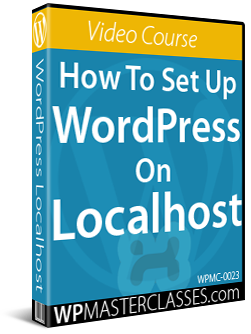 Some WordPress themes display the tag description on your site, and it also helps with search engine optimization. 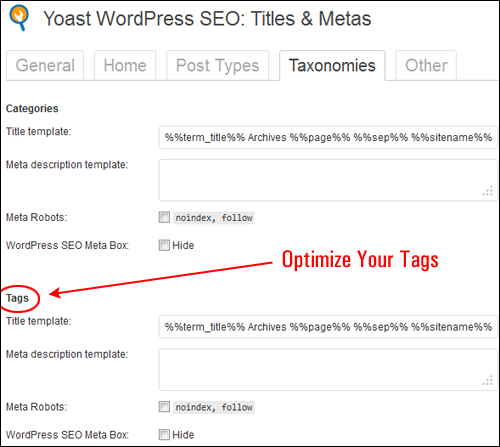 You can delete WordPress tags either individually, or in bulk. 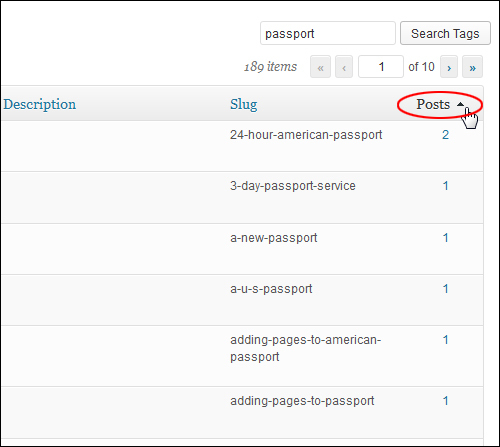 If you have too many tags to delete individually, you will want to use the “bulk” delete feature. 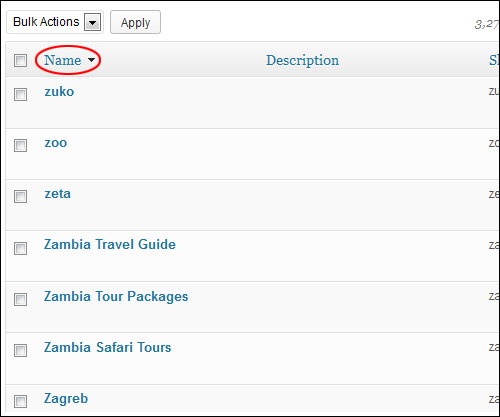 Next, go through the list and deselect any tags that you DO NOT want to delete. 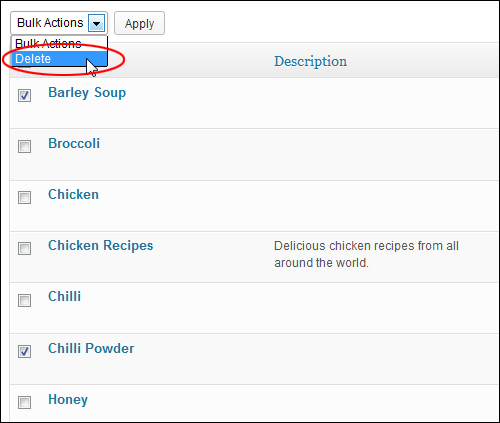 You can select/deselect tags individually by toggling on the checkbox next to the item. 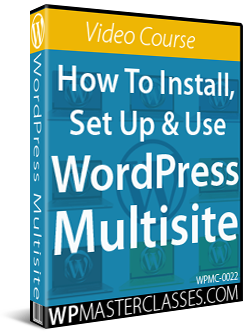 If content is regularly being added to your site, then after a while your tags could end up becoming unwieldy, especially if you allow multiple authors to publish posts on your site (e.g. 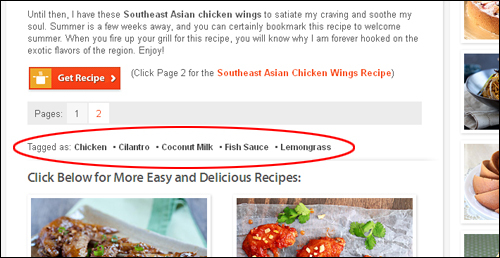 guest blogging), of if you use any type of content automation (e.g. 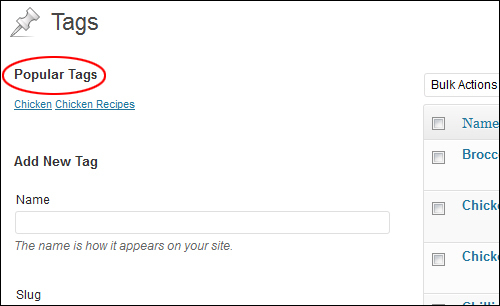 auto-blogging), import content from other sites, etc. 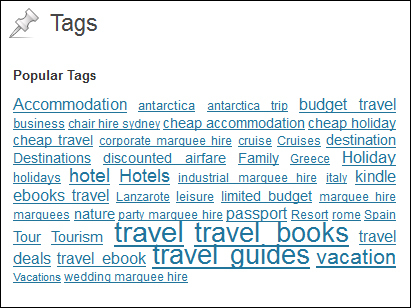 This lets you edit information about your most popular tags if necessary. 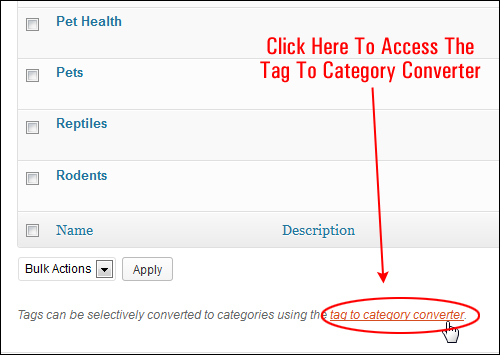 Unlike categories, tags have no hierarchy, so there is no Parent > Child relationship for tags like there is for categories. 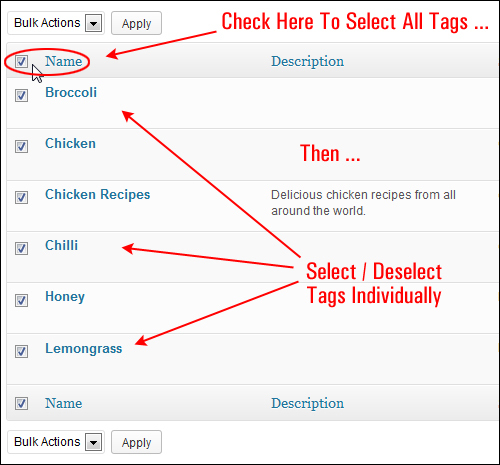 Like categories, tag names and slugs must also be unique. 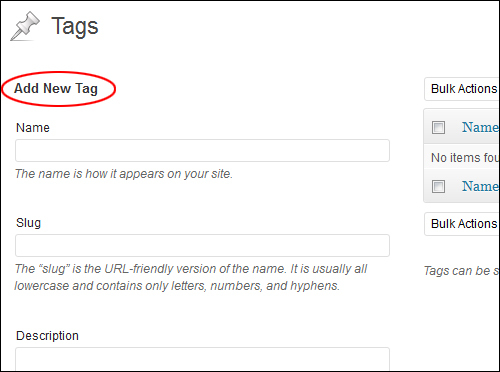 Let’s take a look at some other useful features of WordPress tags that are worth knowing about. 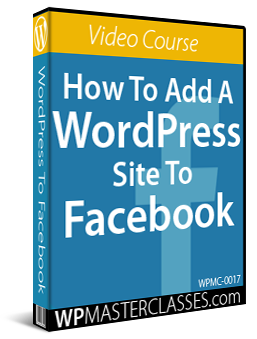 There are many great WordPress plugins you can use to help you manage your tags and enhance your tag clouds. 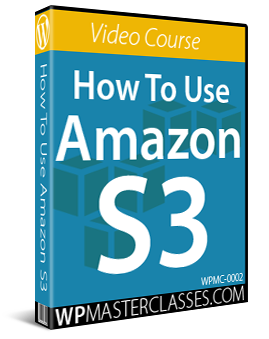 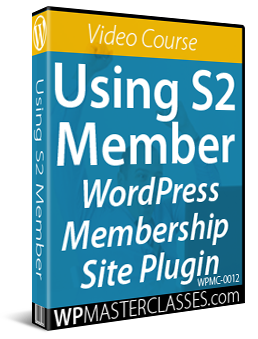 Hopefully, now you have a better understanding of tags and how to set up and configure WordPress tags on your website.